Have you ever been troubled with your garage door? Have you figured out where the problem comes from? Let’s talk about it. If you don’t maintain your garage door with regular repairs and replacements, then it will surely break down sooner or later. Garage Doors La Porte is here to help you out. We have been providing garage door services for many years here in La Porte, Texas. The most common technical issues with them are old or damaged springs. Leaving your springs unrepaired is a huge mistake because it can lead to your opener system breaking and the garage door falling down. The mistake of being ignorant about this technical problem can cause property damage and severe injuries that require serious medical attention. First things first, garage door spring repair or replacement are not DIY projects. They can be very dangerous without the proper skills and right tools. In this regard, contact your local garage door experts to do the job for you. 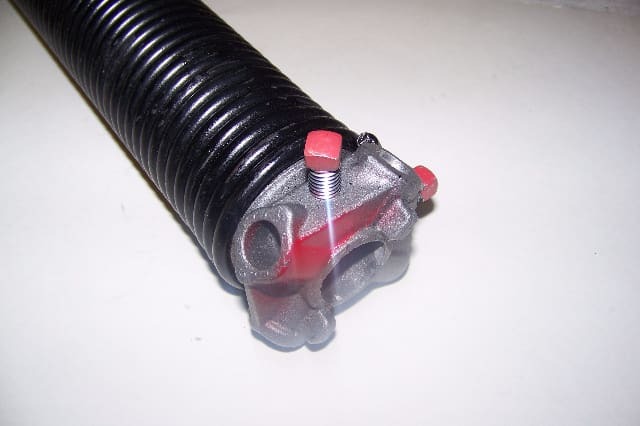 There are two kinds of garage door springs: the Extension Spring and the Torsion Spring. Our team of experts is familiar with their entire function and purpose. We incorporate the material and structure of your garage door in choosing the best type of garage door spring to install. Now, everyone must be well-informed about the main purpose of the spring and the difference between extension and torsion springs. Even if you are familiar with the kinds of garage door springs, it is also a must that you know the special features of each kind of spring. It carries the force of gravity, or better yet, counteracts it for the garage door to open and close. The basis of a well-maintained garage door is the number of cycles it can endure without showing any sign of damage. A regularly maintained or repaired garage door can last almost a year. Imagine how much money you can save rather than availing of expensive installation services every year. Now which type of spring is better for your garage door? Torsion or Extension? Torsion springs make use of a Torque to open garage doors. 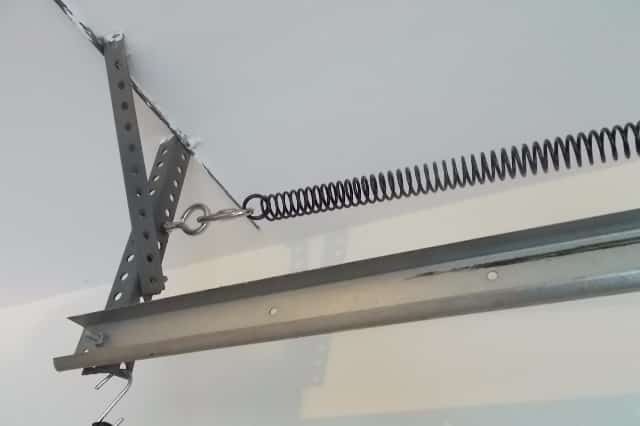 Extension springs carry the weight of the opener by counterbalancing the force that carries or supports the garage door. Extensions are common for residential properties because they are much cheaper. However, torsion springs have a better heavy-duty feature that can last longer and endure more cycles compared to Extension springs. Their price is a little high compared to Extension springs. Though. In addition, the latter will do better for residential properties with single panel doors that are a lot lighter compared to sectional garage doors. 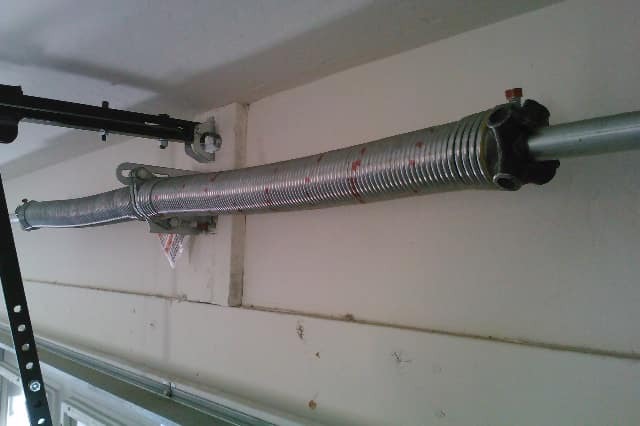 Why do you need Garage Door Spring Repair Services? This is an important reminder for all garage owners. Your garage door springs serve as importante parts of your garage door. They carry or support the force of your garage door when it opens. Without it, there is nothing to counteract the force that your garage door receives. It will surely come crashing down into the things in the area if you don’t have springs. It will even break anything or anyone it strikes. Who knows, your pet or a treasured collection may be crushed. Imagine that you want to take your new car for a spin. You open the garage door and you slowly drive outside. Halfway as you approach the garage entrance, the spring snaps and the garage door comes falling down on the hood of your brand new car. It sounds silly, right? But there have been many incidents like this in real life. So you have to do something about that damaged spring; otherwise, it will surely put you and your family in danger. A durable spring also provides better security for the garage door. Robbers trying to disassemble the garage door or force it to open will only be disappointed. The important thing to remember about garage door services is that you need them not only for springs, but for your total home safety and security as well. If you’re worried about spending a lot of money with these types of repairs, then you are wrong. My City’s repair services are affordable and efficient. Quality beats quantity. We also don’t produce the springs ourselves. We purchase top quality springs from the best manufacturers in the city. With the best materials and reliable team, our garage door spring repair, replacement, or installation services are the best. We let our work speak for itself. We have received positive feedback from hundreds of customers through the years. We have also received minimal complaints. Our company just started with simple garage door panel installation and spring lubrication. Now we are capable of servicing even the most technical garage door services. If you are interested in what we have to offer, give us a call. One of our customer service representatives will accommodate your request. Our phone lines are open 24/7 all year long, including the holidays. We also accept call-in requests. So once again, take good care of your garage door. That means taking good care of your garage door springs. My City Garage Door Repair is always ready day and night. We hope to get in touch with you soon.